artists together in a celebration of Afghanistan, beyond the media headlines. The festival featured Afghan film-makers such as Atiq Rahimi (winner of 2008 Prix Goncourt), Engineer Latif from the Afghan National Film Archive, Richard Stanley and the incredible Sham Sufi Qawali Group for their first concert in the UK. 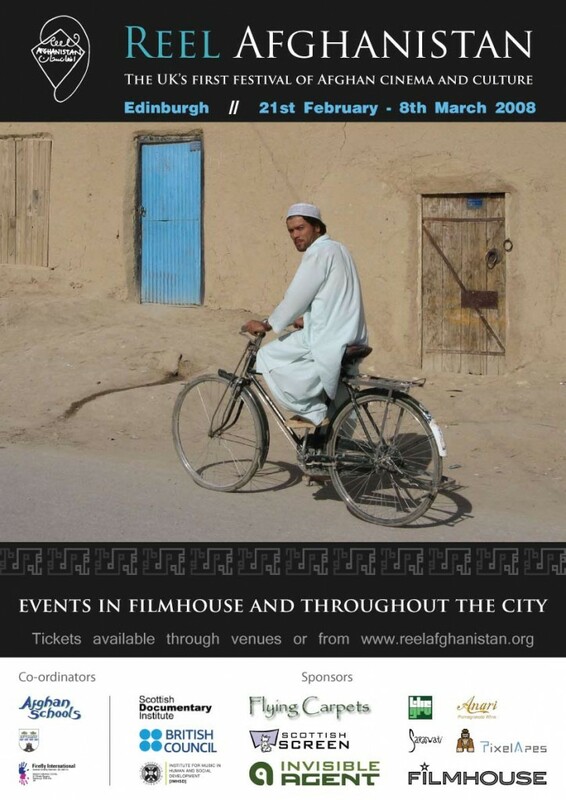 The series of events gave audiences in Edinburgh “the chance to see what Afghan filmmakers and musicians are capable of”. The Guardian penned a preview of the festivals telling the fascinating story about the men who risked their lives to save the Afghan film archive from the Taliban.